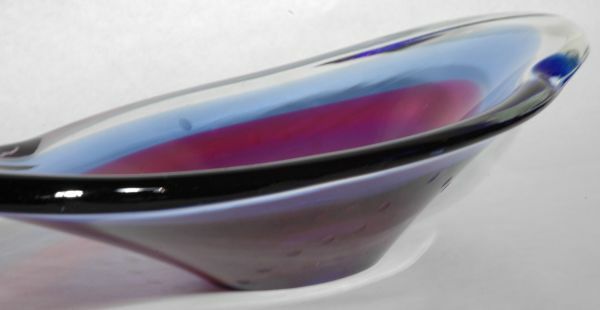 Long Glass Bowl - Erickson? Tri-color bowl similar in style to the Flygsfors "Coquelle" bowls in shape with a ground base. Clear, blue and amethyst colors bands. This bowl has several etched dots on the outside possible Erickson.